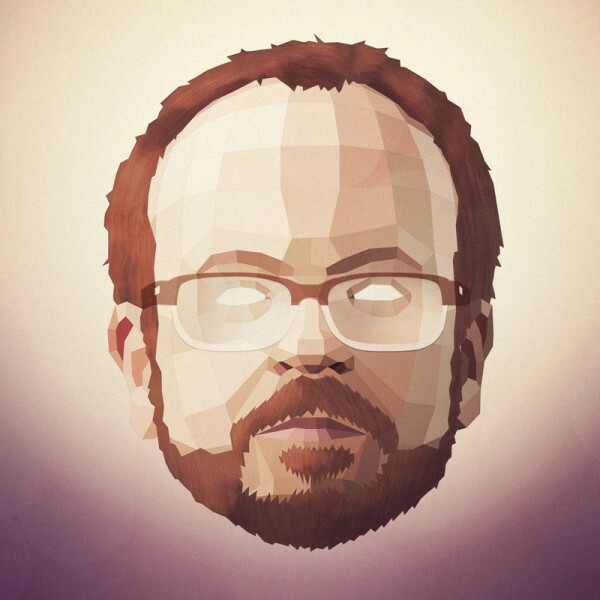 C. Andrew Rorhmann, better known as his musical alias “scntfc,” recently composed the popular soundtrack for the indie game Oxenfree, developed and produced by Night School Studio. Music and sound play a central role in the game, which features a band, radio frequencies, and even an augmented reality game that led players to find a physical music box as an end prize. 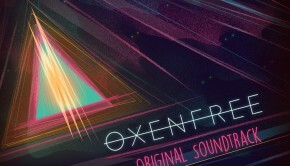 In this email interview, Rohrmann discusses his musical background and his process behind Oxenfree. 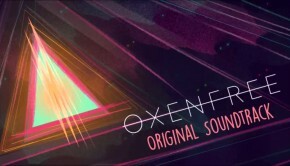 Because music is so significant in the game, extra steps were taken by Rohrmann and Night School Studios to ensure that the musical experience of Oxenfree represented the atmosphere of the art, story, and characters. Emily: Can you tell me about your musical background? Rohrmann: I started out playing music in junior high band, and then moved on to playing drums in rock/punk bands for a few years before discovering that I could make music all by myself with just a computer and some records to sample. I played live, put out records, and DJ’ed for a few years before even thinking about making writing music for a living. Emily: How did you become “Scntfc”? Rohrmann: I had to pick some sort of alias for solo work, and after some mulling decided on Sientific American (intentionally misspelled as a joke / way to avoid being Google-confused with the magazine) but people just thought I was an idiot so I put the C back in Scientific. Confusion continued, and so the easiest route was just to find another alias, and scntfc was as close as I could get without shedding too much recognition. Emily: Which programs do you use when composing? Rohrmann: Ableton Live, lots of Kontakt instruments, and outside of the computer are outboard synths, effects, piano, reel to reel decks, etc. 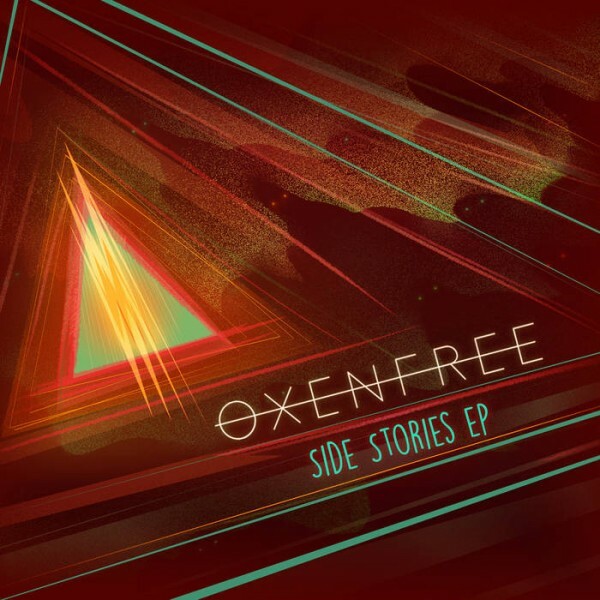 Emily: I have to ask a bit about the Oxenfree score, because when I first listened to it, with the idea that it went to a horror game, the music really surprised me. Many of the tracks have this strangely upbeat sound, particularly the melodic tracks, which contrasts the dark nature of the game, but ends up fitting really well with the imagery. What was the approach you used when deciding on the sound for this score? Rohrmann: We started the process with both Night School and I making our own “mixtapes” of the sort of music we felt would provide the right atmosphere. We traded our mixes and found that not only were they similar, we even referenced some of the very same artists. After getting familiar with the plot, I came up with the idea that the score would be dual purpose, serving not only the usual purpose of being “background music” but also as music the characters in the game might listen to in their world. Specifically regarding a couple of the more upbeat songs (“Towhee Grove” and “Epiphany Fields”), these were sort of an accident. There is a character in the game (Ren) who is in a band (The Redhead Bedwetters), and since there is a moment where his band is heard on the radio we thought I might as well write a few songs that could be ascribed to the fictional band. As a character, we knew Ren might be down with the likes of Toro Y Moi and Washed Out – and so I just wrote some demos in that vein. They were meant to just be quick sketches but we liked them enough and they hit some of the right emotional tones we needed, so we shifted some of these “Redheaded Bedwetters” songs onto the soundtrack proper. (Sidenote: We originally intended these songs to appear on a Bandcamp page that would be completely disconnected from the scntfc alias, but since they made it into actual score they went on the actual soundtrack. The vestige of this concept is the Redheaded Bedwetters cassette that is a part of the collector’s edition). Emily: A lot of the tracks play with strange tuning notes, which fit the radio frequencies that appear regularly in the game. How did you incorporate those into the soundtrack? Rohrmann: We discussed the aesthetic core of the game and how from the sonic perspective it revolves around the mystical, esoteric qualities of near-extinct technology – shortwave radios, reel to reel, wire recordings, etc. So we decided we wanted the music to reflect those qualities as much as possible. I used as many of these textures as possible when constructing the music, but not so much that it might interfere with specific sound design elements in the game. I wanted the soundtrack album to have its own story arc, as if it has its own timeloop within the greater Oxenfree mythology. A part of this idea is that while listening to the album, there is a constant sense of more going on than just listening to some plain old songs. 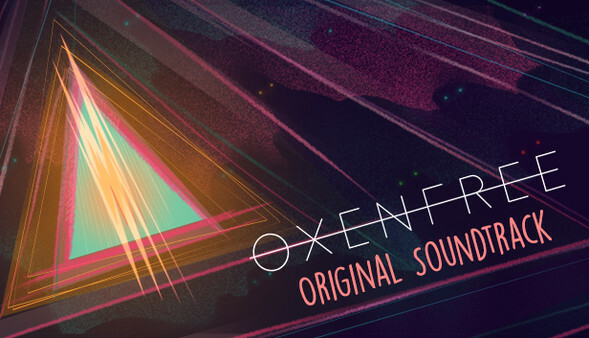 To that end I wove in a lot of radio disturbances and glitches, to make it all feel alive and part of the Oxenfree world, and ultimately that concept really helped give the soundtrack a unified sense of presence. It’s also worth mentioning that there are a large number of interrelated tracks throughout the soundtrack. “Against The Waves” is built on a slowed down loop of “Against The Rocks.” “Lantern” is a drone variant of “Black Lantern,” etc. Another idea from early on in the development process was that much of the score would have diegetic “ye olden style” variants that would take over when the radio was used. We didn’t end up going with this idea, but the vestiges still remain with stuck-in-time versions of songs like “Lost” which also appears as the song Jonas’ mom would sing, and “The Beach 7AM” which also appears as the backing music for the hangman quiz and Adler basement projector film. Emily: The game also came with an ARG – could you explain a little bit about how that originated, and what it did? Rohrmann: I’ve always loved the idea of fictional worlds reaching out into the real one… blurring the line between fiction and reality. 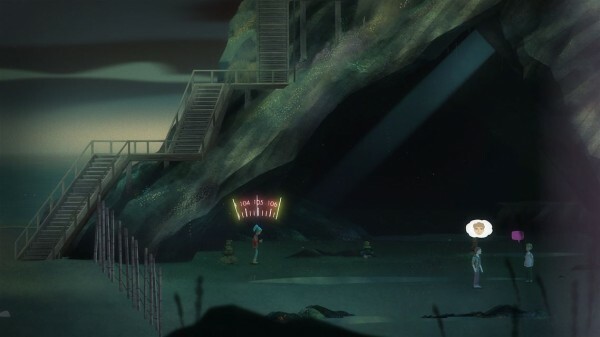 As Oxenfree progressed it became more and more clear that not only were there opportunities to do some out-of-game stuff, but that we could create real world elements that would fit perfectly within the game’s mythology. Radio broadcasts, abandoned military bases, Morse code, etc. Alongside that, I’ve been fascinated with the physics of sound since I started making music, and throughout the years have kept a mental checklist of sonic ideas that fall outside of the realm of the normal process of making music: phase cancellation, recursive audio, extreme speed/pitch changes, mathematical and numerical balance in melody construction, etc. etc. Since so much of this was directly relevant to the world of Oxenfree, I spearheaded the idea of creating the ARG so we could put some of these ideas to use. Emily: How did you build musical clues inside and outside of the game? Rohrmann: Even before we hatched the plan for the ARG, I wanted to hide mythologically relevant secrets within the audio. I was playing on the idea that the game is “haunted”, so any opportunity I had to let the ghosts infiltrate the audio, I made it happen. I’ve done this quite a bit before… phase cancelling on vinyl to hide secret messages, melodies that are actually playing Morse code (I did this much earlier than Oxenfree, on my very first video game job, actually), etc. and Oxenfree was the perfect opportunity to exploit these ideas, the whole while having them all be 100% relevant to the game’s mythology. The first appearance of the audio secrets came a long time before the game’s release, hidden in the first track posted to Bandcamp, and even within the mixtape I made for the Night School blog. The ghosts were reaching out long before anyone had actually played the game. The track “Beacon Beach”‘s melody is not only playing a message in Morse code, but we actually changed the message throughout the ARG by replacing the audio file on Bandcamp. Extreme pitch differences were exploited by taking a short Morse code message and slowing it down enough so that it spanned the entire length of a song. So, a five minute song would have to be sped up to 6 seconds in length in order to hear the Morse code. Using phase cancellation to hide subtle messages so that when an audio file is converted to mono, the phase flipped left and normal right channels cancel each other out, leaving the listener with the non-phase flipped secret message. Emily: The prize at the end was a music box – how did that come up as an idea? Had you made one before? Rohrmann: We wanted to make sure that the final prize wasn’t cheesy or some sort of lame marketing junk. No t-shirts or “stay tuned for the next game from Night School”. What was the message Ralphie discovered with his secret decoder ring in the movie A Christmas Story? “Drink your Ovaltine” or something. We didn’t want that to happen, so had to think of something unique and cool and that again related to the game’s mythology. I hit on the idea that the feeling of the ARG solution should be like discovering some sort of ghostly World War II era relic, and when I connected that with the idea for making a music box, it all fell into place. I had never made one before, but since I have modest woodworking/construction skills it wasn’t too hard to figure out how to build it. Emily: How did the release of the Side Stories EP come about? Rohrmann: Over the course of development I had written a lot of music that we all loved but just didn’t fit into the game in the right way. In a way I even knew while working on some of the tracks that they were too beat and/or bass heavy to fit into the game without being distracting, but I wanted to finish the tracks anyway, hoping I’d find somewhere for them in the future. 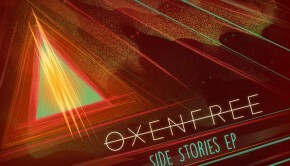 Because the world of Oxenfree ended up becoming more than just the core game – the ARG, New Game +, the myriad fan theories, and fan art – it made sense for us to create the EP… appropriately named Side Stories because even thought the songs aren’t part of the game proper, they still have a place somewhere within the Oxenfree world. Maybe they exist on a timeline that doesn’t appear in the game?!? Emily: Thank you so much for your time! Is there anything else you would like to say to your fans and our readers? Rohrmann: Nothing more than thanks for listening and (hopefully) enjoying the projects I’ve been involved in! Posted on July 18, 2016 by Emily McMillan. Last modified on July 18, 2016.